Twitter was founded by current CEO Jack Dorsey and entrepreneurs Biz Stone, Evan Williams and Noah Glass in 2006. The social media platform introduced a new verb that some folks haven’t figured out (it’s tweeting not twittering), but it’s safe to say that Twitter has forever changed the ways we seek out and share information with the world. 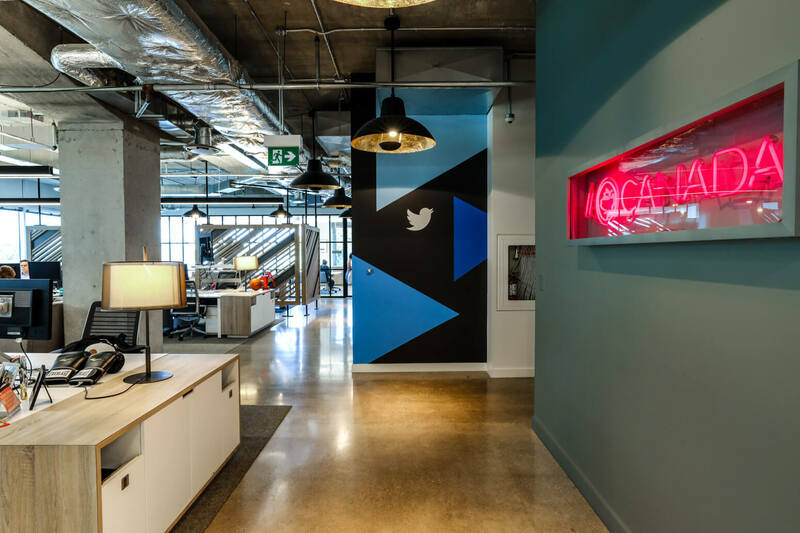 Today, Twitter has 25 offices around the world, including its Canadian headquarters in Toronto. 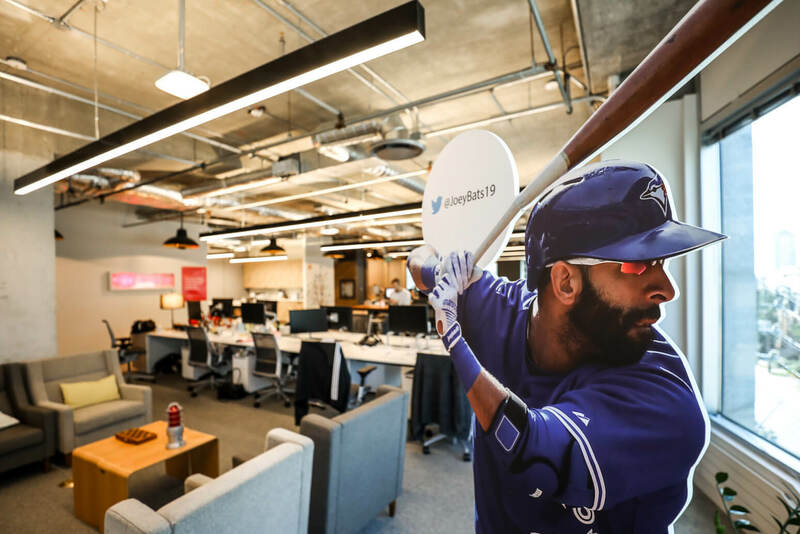 Home to Twitter’s sales and advertising efforts North of the border, the office is also dubbed #TheLab, reflecting the new products and strategies that are tested in the space. 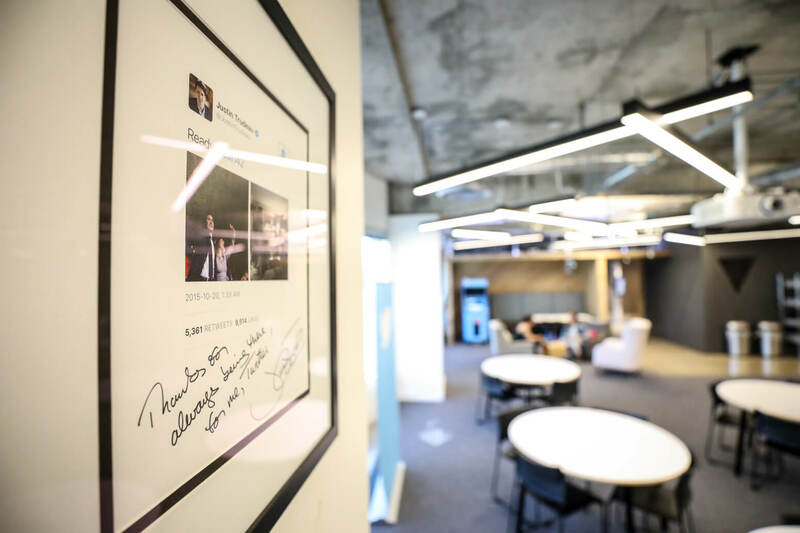 The 30-person King Street team have served up some notable Twitter firsts: the first visit by a sitting world leader and the first to host a weekly live-streamed show. 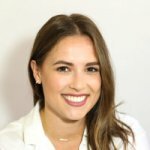 With 328 million active monthly users around the world—and 12.6 million unique monthly Canadian visitors—Twitter continues to be an information sharing powerhouse among the social media elite. 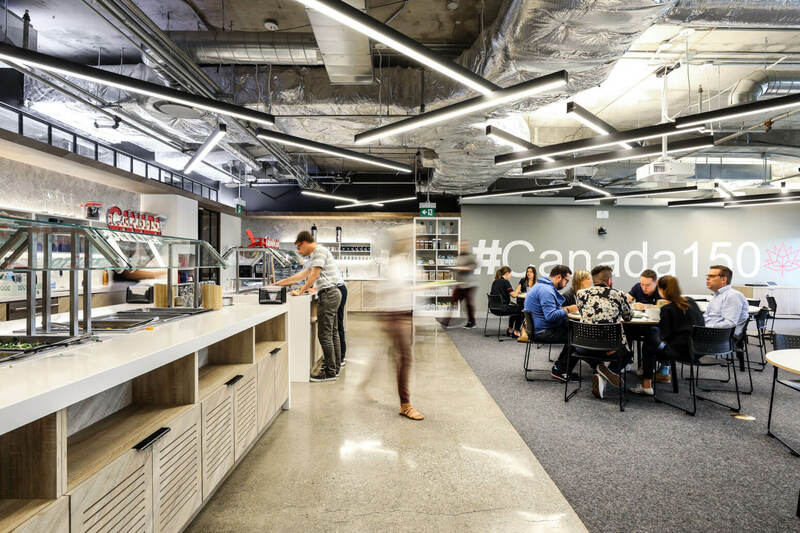 Twitter Canada moved into their third-floor space in 2015. 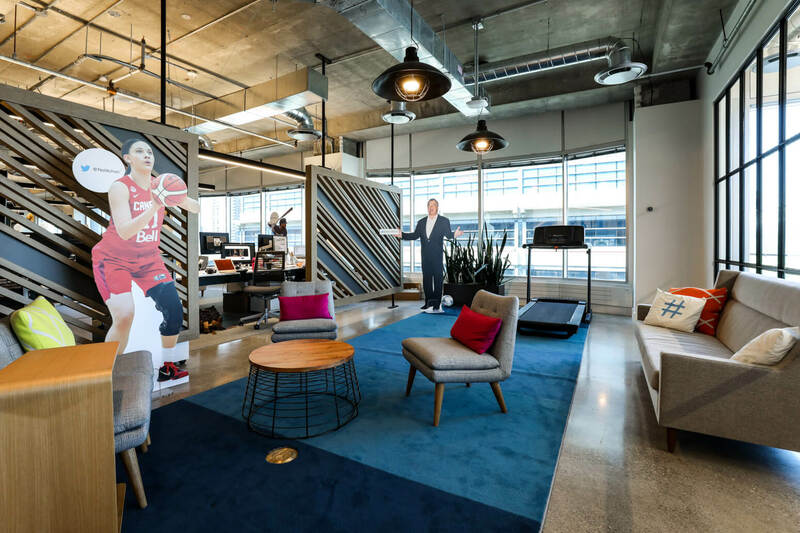 The corporate vibe of the once traditional office space was erased with factory-style windows, textured accent walls, polished concrete and a splash of Twitter’s signature blue hue. 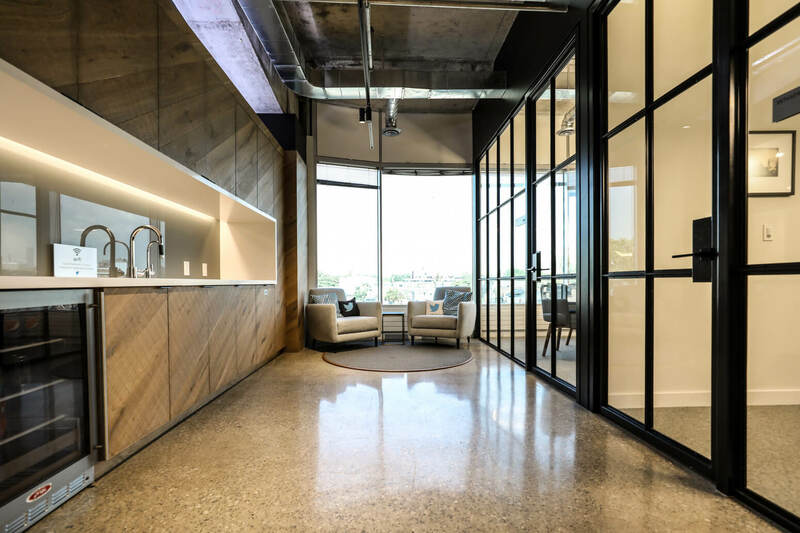 The transformation was led by iN Studio’s design duo Anthony Orasi and Deanna Hayko, formerly at B+H Architects. 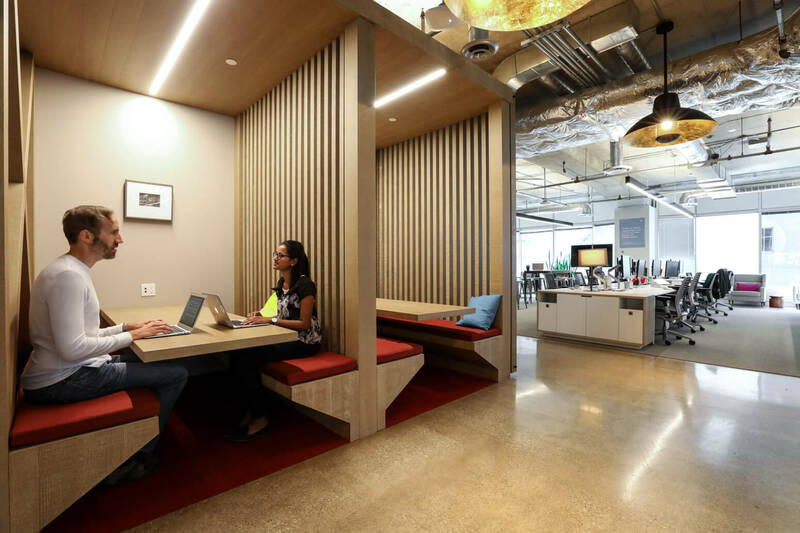 It’s not surprising to find an office space reflective of the company’s open culture. 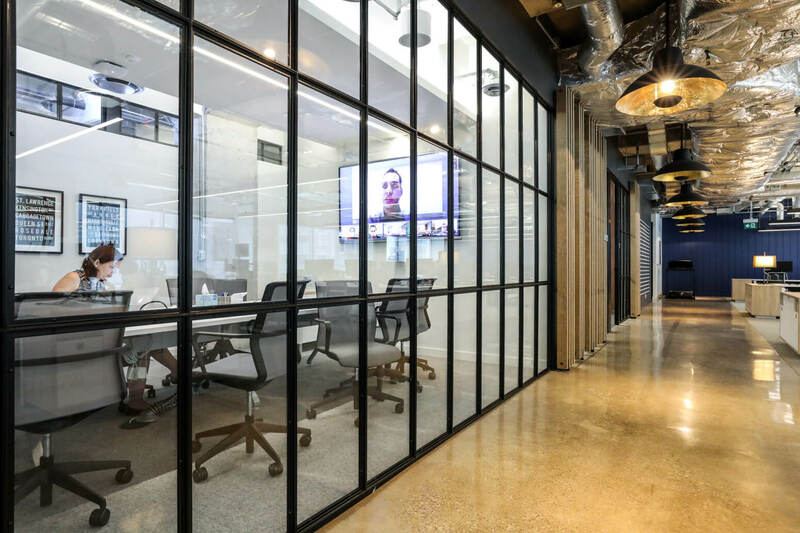 There are no individual offices—its open workstations are augmented by a range of boardrooms, meeting spaces and private room. If the desire to burn some extra calories on the job hits, there’s a treadmill ready for a working walk (or run). 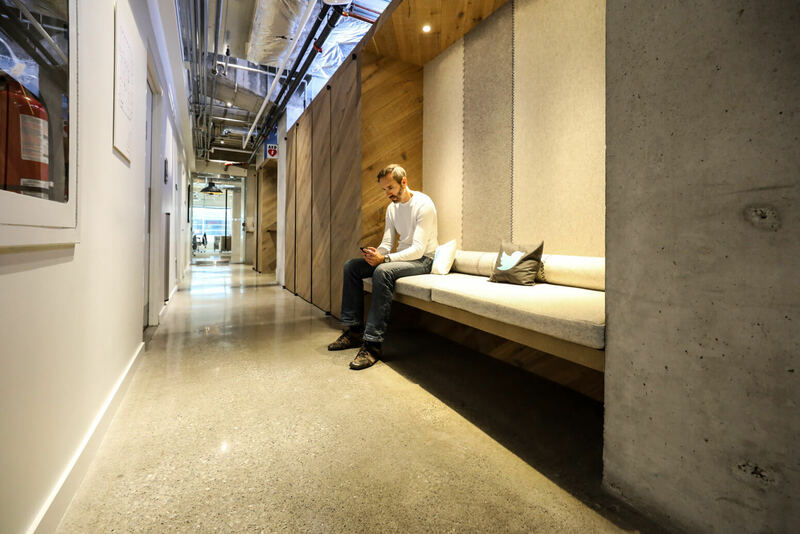 The office was built for interaction. 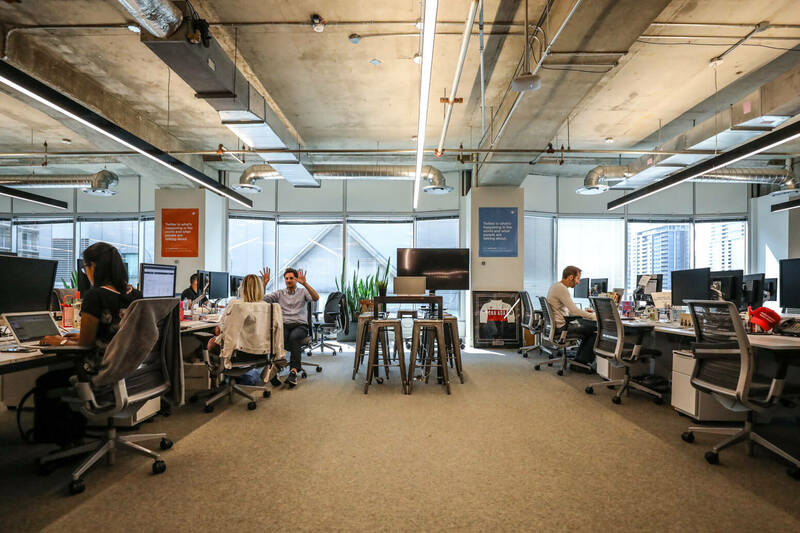 Teams in sales, brand strategy, marketing, communications, research and media partnerships all work from the Canadian HQ and report to global teams in San Francisco. 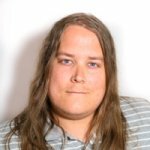 Twitter Canada works primarily with media companies, brands, professional sports teams, athletes and government organizations. “I wish we had a lifesized William Shatner cutout,” said no one at Twitter cause they already have one. The Library was created for the distinct purpose of unscheduled offline discussions. 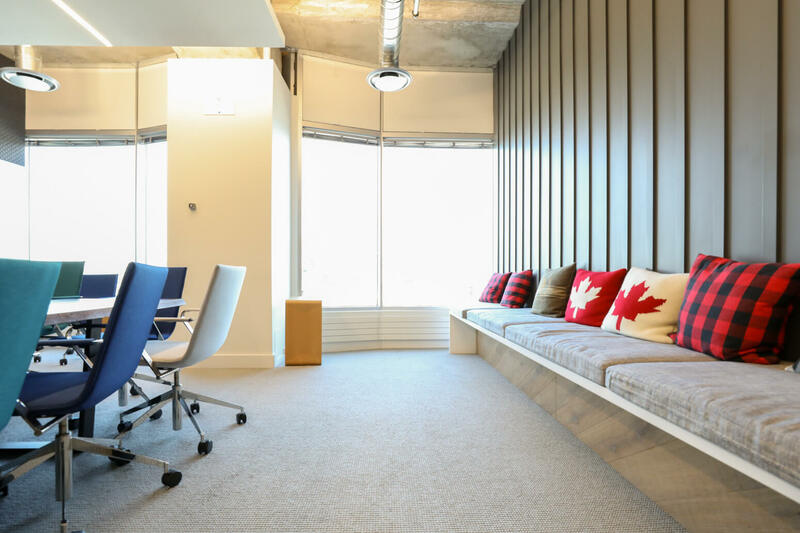 Employees are meant to use the space to relax and read, and it’s the only room in the office they can’t book. 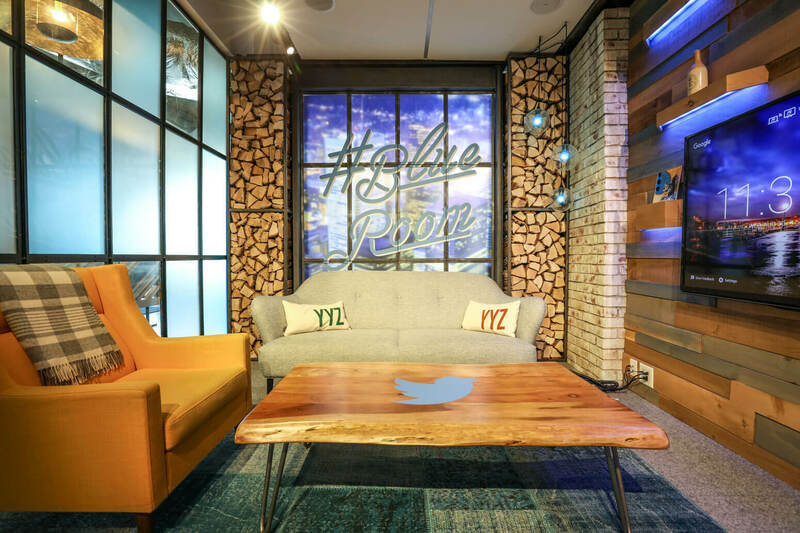 The aptly named #BlueRoom is home to Twitter chats and Q&As, welcoming visits from Scarborough’s Superwoman Lily Singh, acting and singing double-threat Hailee Steinfeld, and bat-flipping Blue Jay Jose Bautista. 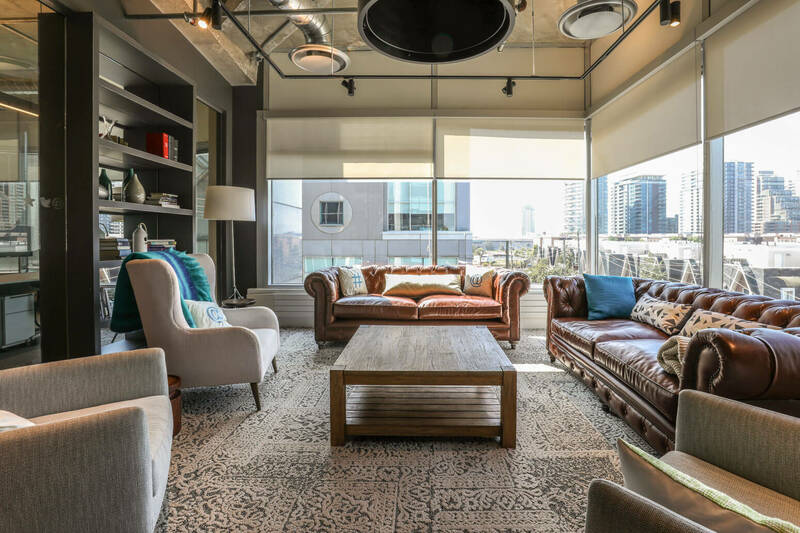 With blue walls, well-worn couches, and warm accent lighting, the comfy room is a Twitter staple with look-a-likes in Paris, Sydney and more. 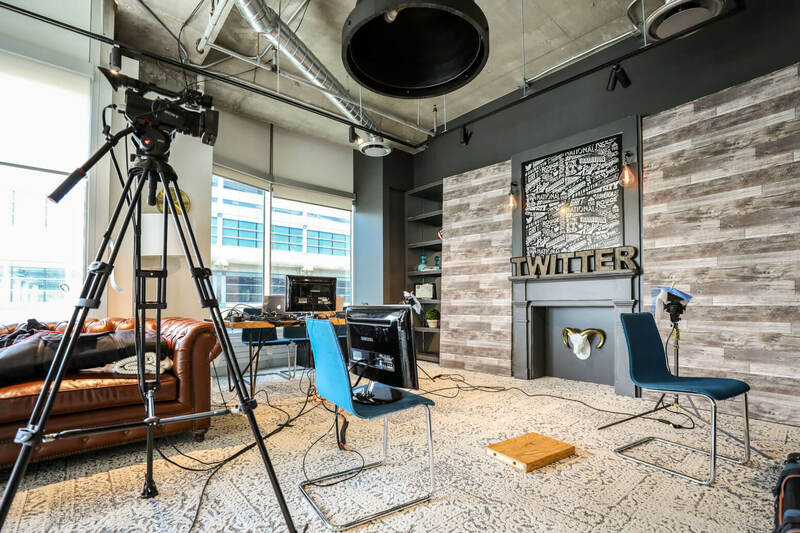 The #blueroom is an authentic TV-ready space used for live stream events and video shoots. 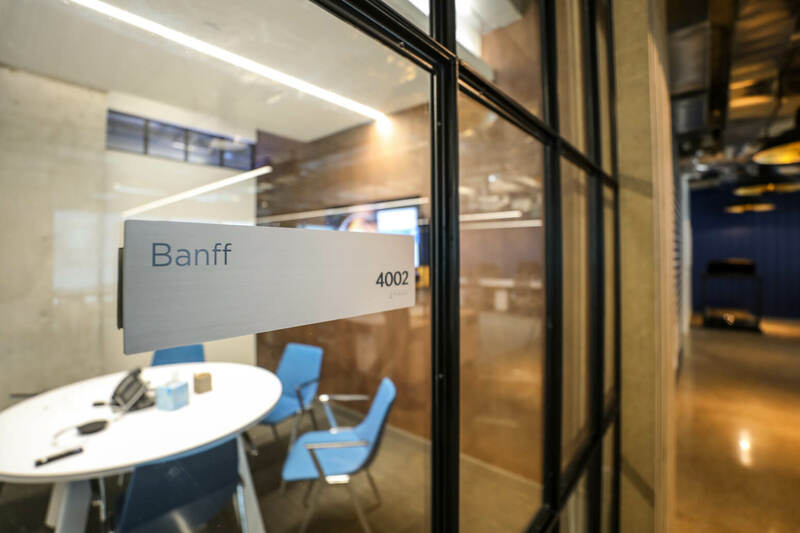 All breakout rooms have been assigned names of Canadian cities across the country from Whistler to Banff to Peggy’s Cove. 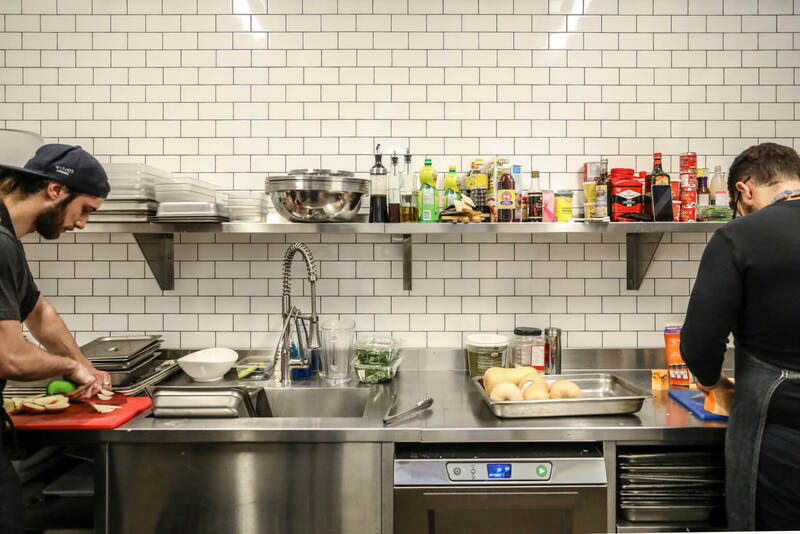 Twitter employees enjoy a daily catered lunch and a bonus Friday morning breakfast all prepared by the in-house chefs. 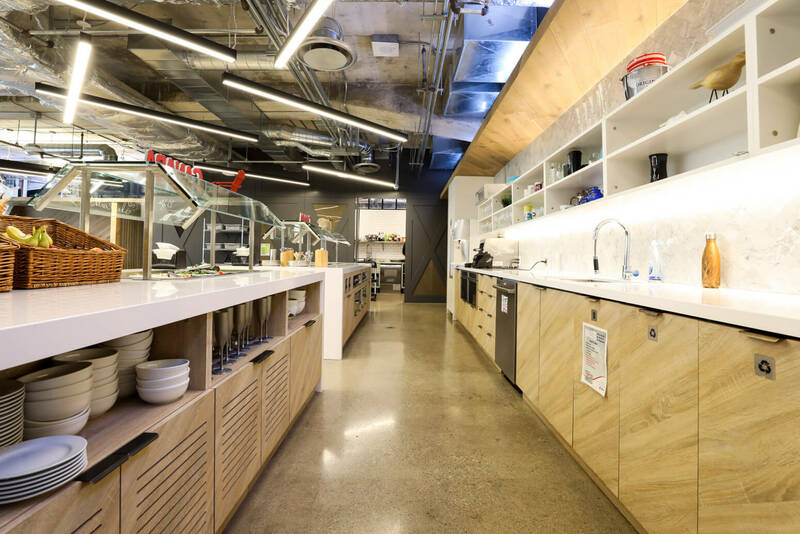 A fresh salad bar, seasonal feature dishes, and fresh snacks are all mainstays in this kitchen. Eat halal? No problem! Dietary restrictions? Bring em on! The Twitter “You can’t sit with us!” Actually, you can sit anywhere you like. A selection of treats is on display in the designated snack wall which is both a favourite of visiting dependents and the source of each new employee’s ‘Twitter Twenty’. Fresh ground coffee is supplied by Pilot Coffee Roasters—Anthem and Academy are the mainstays—plus assorted beans from Balzac’s Coffee. 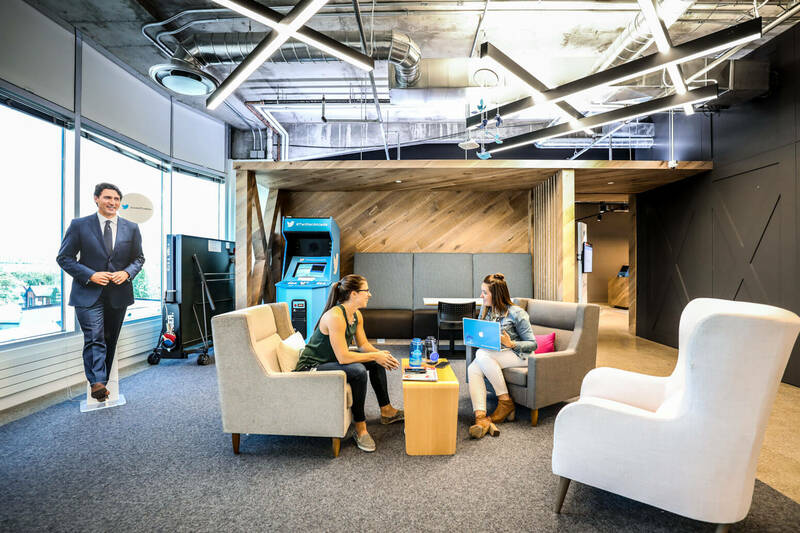 All Twitter offices champion their own social wellness initiatives through the bi-annual #TwitterForGood days. Twice a year, everyone in the Canadian HQ heads out for the day to do charity work on behalf of Toronto non-profits and local organizations. This year, the Canadian team also marched in Toronto’s Pride Parade alongside tech community counterparts from Google, Microsoft, LinkedIn and Facebook. 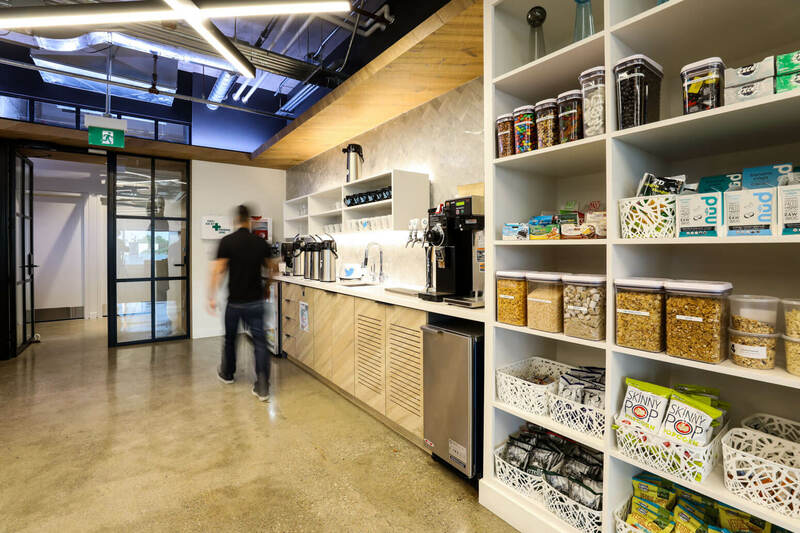 Employee benefits include mobile phone perks, subsidized transit, on-site parking, and secure underground bicycle parking for those who prefer two wheels. 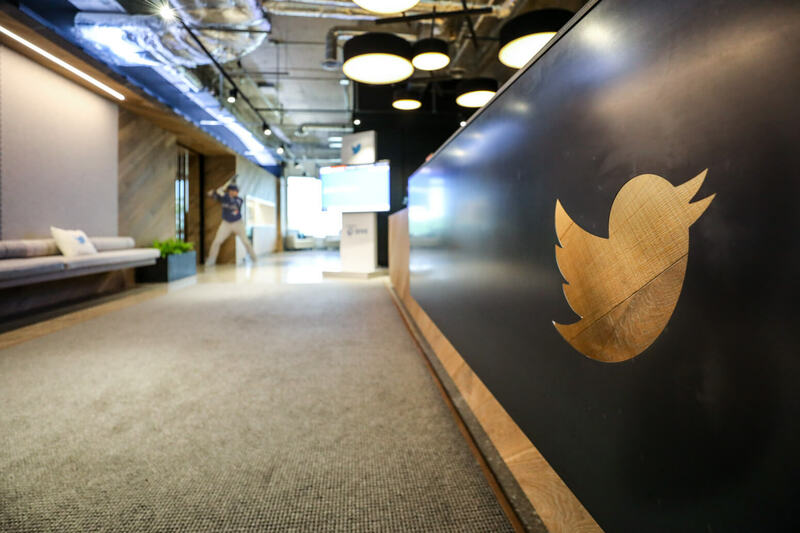 Twitter offers subsidized courses in management training, programming, and technical skills. 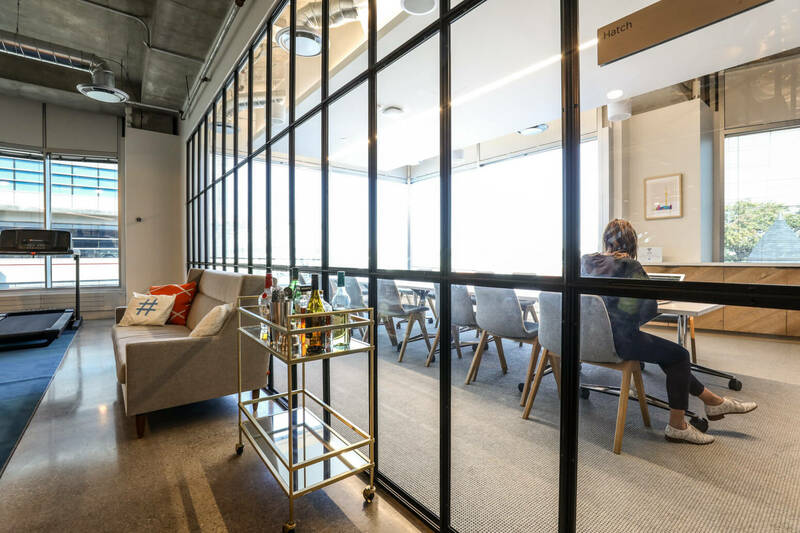 Employees can also tap into Twitter’s short-term inter-office exchange programs to work and learn from another Twitter space on the other side of the world. Twice a year, the Twitter Toronto team will retreat to wine-country or maybe a ski-trip. The weekend trips include a combination of team building and strategic planning balanced with activities and special guest speakers like Olympic hero Clara Hughes. This version of the prime minister is always on standby for a selfie, while the stow away ping pong table and Twitter arcade are nearby for lunch break fun. Although the Library is a tech-free zone for employees, an exception is made each week as the quiet room is transformed into a TV studio to shoot weekly livestream #CFL This Week. The office hosts Twitter-worthy events like a viewing party for the 2016 U.S. election. The platform was actually the largest source of breaking news that night with 40 million election-related tweets sent by 10 p.m. Not to mention that visits from VIPs aren’t too shabby. 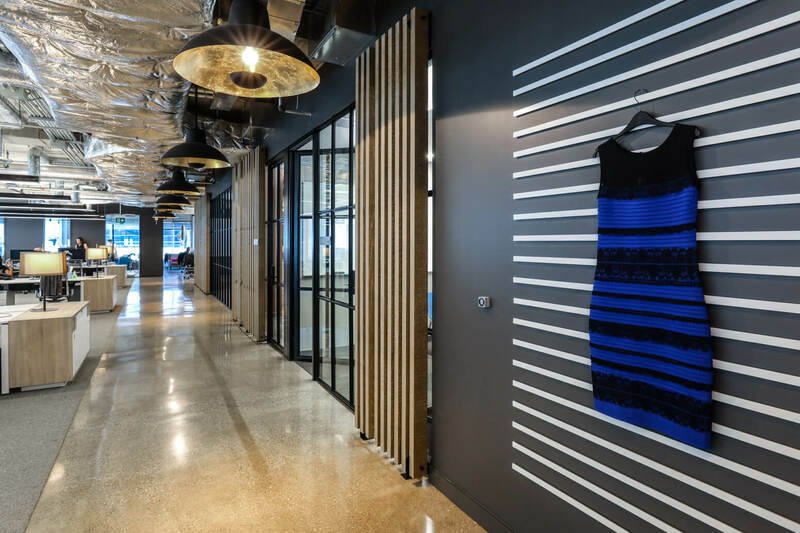 Each Twitter office proudly displays its own version of The Dress. A photo of a simple dress that caused enough confusion and debate that it became a viral internet sensation in 2015—thanks to Twitter. And yes, we can confirm it really is blue and back. Were you team #blueandblack or #whiteandgold?